As the year draws to a close and we retreat for the holidays, I urge us all to relish this wonderful season by taking time to rest and rejuvenate, celebrate all the good in the world with family and friends, and rededicate ourselves to doing all we can to improve the world and light the way to a brighter future. It has been a terrific year at UCI, and there is much to look back on with thankfulness and pride. 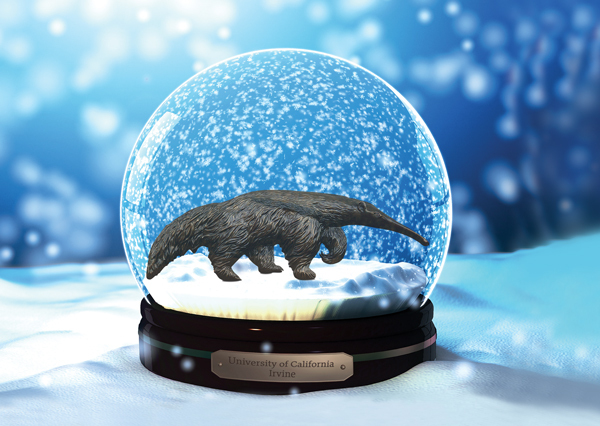 Each member of the Anteater family has contributed to our university’s success and has made UCI an incredible, rewarding place to study, work, live and grow. It is a good thing that we have a chance, on occasion, to reflect on the importance of what we do and our impact on the well-being of the world. Happy holidays and warm wishes for a healthy and enlightening 2017!